This is made for those of you, who are tired of facing the same old decks on wild ladder and want to try out something new. If you want to punish your opponents for playing tryhard decks and you want to beat them by giving them a taste of their own medicine, then you came to the right place. Roll up your sleeves, cuz' we have a lot of plundering to do. - Versus Control - Dead Ringer, Archbishop Benedictus (worth considering at least), Twilight's Call, when going second - AoEs. - Versus Combo - Dirty Rat, in most cases Zola the Gorgon as well. - Versus Faster decks - clear, heal, clear, heal, stabilize, steal and emote. - Versus Control - draw, clear, steal, heal, steal, steal, steal and emote. - Versus Combo - find Dirty Rat, play it, ruin their strategy, steal and emote. Tbh I don't rebember facing pirate warriors this season - only odd control and one DMH. However it's better to be safe than sorry, so mulligan for PW first. In this case look for defensive tools and clear their pirates. You don't want the warrior to smash you with big pointy weapons. If it's not pirate, then it's odd, which is control and thus a favourable MU. If this isn't the case either, then prepare yourself for DMH warrior. Try to dump your hand and play Archbishop Benedictus only after they cast Dead Man's Hand. You should save Zola the Gorgon for him, in order to copy the second copy of this spell. Don't let the warrior burn Benedictus with Coldlight Oracles. Mech - this is the deck I would mulligan against firstly. Try to find really cheap defensive cards such as Mass Hysteria and Bloodmage Thalnos/Explosive Sheep + Spirit Lash. It's a good idea to always try clearing their mechs, cuz' they can get magnetized and things can become ugly for you, but don't throw your AoEs on small tokens needlessly. Try to count how much damage the hunter can do with Metaltooth Leaper. Secret - the first thing I want to mention is that Master's Call is super annoying, as the hunter can fetch Barnes and summon a 10/10 Y'Shaarj, Rage Unbound on turn 4. This is why if you have Shadow Word: Death, you should always keep it. It's advisable to do this when you face hunter in general. Secondly - be very careful, when you cast spells. Cat Trick is extremely common, so if you have the possibility, try to cast a spell, which will trigger this secret, and then play a board clear. Save Mass Hysteria for their spellstone. Other than that - stabilize and out-value them. Odd - look for defensive tools, try to save your AoEs (Spirit Lash) when you really need them, i.e. before the paladin plays Quartermaster. If you can afford it, play around Divine Favor. Against the Beardo version try to pull that legendary. This deck runs Emperor Thaurissanand Banana Buffoon and they won't play the monkey before him. Try to remember which minions they have played and what are the chances of pulling Beardo after the Thauri turn. If the paladin has a big hand and they haven't played Uther of the Ebon Blade yet, then you can wait until they transform themselves. But try to keep up the pressure, so that the paladin drops minions from their hand; make them use removals (such as Wild Pyromancer), so that you increase your chances of pulling the Auctioneer. You can combo the rat with Zola the Gorgon. Against the Garrison version - they run bouncers. If you don't see Thauri, then you can wait until the paladin bounces two of their knights. But same as above try to make them play minions and use Zola. Odd or pirate kingsbane. Nothing much to say - just find your defensive tools and try to survive. Hyper aggressive decks are our biggest counter, so SOMETIMES it's a good idea to mulligan the quest away, in order to improve your chances of drawing the right cards and thus winning. Do this if your starting hand is really bad and you are afraid of not drawing an AoE on time. A small note on pirate kingsbane rogue - odd rogue is easier to counter imho, cuz' they lack draws. The prior deck however is very annoying, since they run all sorts of answers (Sap, Eviscerate, some lists even run Doomerang) so the strategy here is to deal with their board at all cost. Things get worse as all of them run Myra's Unstable Element, in order to find the missing burst and to land the finishing blow. If you face this deck too often, then you should tech another Explosive Sheep instead of the second Lightbomb. Even. Try to find Mass Hysteria, Shadow Visions (into an AoE) and Shadow Word: Death (for their 4 mana 7/7 or giant). Play around Devolve (don't have too many taunts at a certain time. Sometimes I decide to mulligan the quest away, in order to improve my chances of finding an AoE. Because the sooner I deal with their board, the higher the chances of me winning. Rare MU. It's mostly jade druid. Either way just try to find reactive stuff so you can deal with their board and out-value them with their own cards. If you somehow stumble upon a combo deck - we have a Dirty Rat to help us. Play it after Dreampetal Florist. Evenlock - if you somehow know your opponent is playing this deck, keep Shadow Word: Death, Lightbomb and Shadow Visions/Mass Hysteria. The strategy is pretty simple - clear, heal, survive and then out-value them. If you have a lot of health and spare mana, heal your opponent (don't forget to emote :P). This way you play around Hooked Reaver. Cubelock - Save Entomb for Mal'Ganis and the Doomguards. Same as above - clear, heal, survive and then out-value them. If you somehow suspect a 25-burst combo, then try to time Amara, Warden of Hope correctly. Control warlock or Renolock - outvalue them. 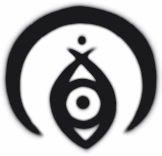 Play Entomb on Voidlord and Rin, the First Disciple. If they somehow kill her, play Archbishop Benedictus after Azari, the Devourer, this is why you shouldn't play him before Rin enters the board. However some people don't run Shadowflame, so if you have Benedictus and they haven't killed their Rin yet, then play him first. You don't want to risk him being pulled by a Dirty Rat. Oftentimes I purposely don't play any stolen minions from my hand just to minimize the chances of letting my opponent pull Amara or Benedictus. Come to think of it Mal'Ganis isn't really scary here, since there aren't any chargers in this MU. If the opponent plays their DK and summons a lot of beefy minions, then you can just play your Shadowreaper Anduin and kill all of them. This is why I'm telling you to steal their Voidlord. We will have a good deathrattle minion this way. Some of them run Mecha'thun. If they play Emperor Thaurissan, then count how many minions could be sitting in their hand (except Mecha'thun and Bloodbloom). If there aren't many, you could play the rat immediately. Otherwise on their final turn. Against Mecha'thun deck and I mean a deck 100% dedicated to this combo. Don't keep Awaken the Makers. Try to find the rat and Zola. Burn/Tempo - unfavourable MU. Be really picky, when it comes to the mulligan stage. Take only cheap stuff. Try to play around some secrets - Counterspell, Explosive Runes and Potion of Polymorph/Mirror Entity - by sacrificing cheap spells or high-health minions. Combo - Dirty Rat. 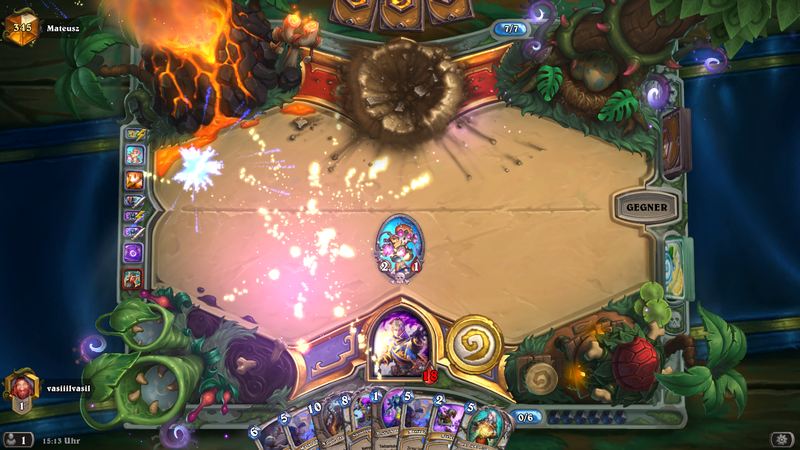 If you manage to steal Research Project or Coldlight Oracle with Archbishop Benedictus, then use them, in order to mill your opponent. You can also try to steal Ice Block and to cast Amara, Warden of Hope after they have popped you. Control (incl. Reno) - "draw, clear, steal, heal, steal, steal, steal and emote". Your opponent will most likely be Big Priest. The strategy here is pretty simple - steal their annoying minions and narrow down their resurrection pool. This is why I ALWAYS try to find Entomb in my mulligan stage (+ Shadow Visions into a second one or a copy of Psychic Scream). The only minions, which are not worth stealing are Barnes and Obsidian Statue (+ Emperor Thaurissan especially if you have a lot of removals in hand). The only bad MU I face is the Mind Blast version. Against this deck try to Entomb Malygos and Prophet Velen. Don't let them die. Razakus - play Dirty Rat after they play Thauri (make sure you are ahead on the board and you have an answer for Prophet Velen, cuz' otherwise you will die). Be really careful when you play Amara, Warden of Hope (as they run Alexstrasza). Try to calculate how much damage they can deal in a single turn. Dragon Burn - I have faced it thrice. Same as above - try to calculate how much damage they can deal in a single turn. Don't let them out-tempo you. Awaken the Makers - Staple with the deathrattle minions and their support. Bloodmage Thalnos - This isn't a staple card, but it's very, very good. You can use a Loot Hoarder for the deathrattle synergies, but the spell power is extremely useful with Spirit Lash. Zola the Gorgon - replacable, but I don't recommend using Seance. It might ruin the outcome of Shadow Visions when you desperitely need a specific answer. You are better off running a Loot Hoarder for extra cycle than the aforementioned spell. Archbishop Benedictus - Good card versus control decks, that reach fatigue. Kinda hard to find a replacement, because no other card can delay the fatigue like he does. And tbh if you don't have him, then you are playing an ordinary quest priest deck w/o a win-condition... Add Mecha'thun if this is the case. Shadowreaper Anduin - staple. The card is just too good - removal and reach. How can someone say no to that? Sylvanas Windrunner - she offers some nice board control (that is if you aren't too low on health). You can use Bone Drake instead of her. N'Zoth, the Corruptor - very good, especially when he summons a lot of taunts and Sylvani. But if you don't have him, you can add a loot hoarder for extra cycle. - running 2x Lightbomb - really good, if you constantly face even shamans. Thanks for the attention and for the feedback. Have fun and best of luck to you! I love this deck! Rank 8 to 5 for 2 hours and 3 losses. - What do you think of Mojomaster Zihi? Isn't she better in a proactive deck? Because I always thought she is a good card but only in decks, that can pressure the opponent. - I added a second Lightbomb in the deck only to counter mid-range decks better (like even shaman). What decks did you face, so that you added an Excavated Evil instead? Also sometimes i need to clear the board on turn 5 or 4+coin. I think Excavated Evil is better against even shaman, because totems especially flametongue, less cards for sea giant and it breaks Murkspark Eel buttle cry. And it helps when Mass Hysteria can't do their work well. Mojomaster Zihi is nice against combo, against DK especially if you played yours earlier, against big priest - he can't play creatures from the hand and spellstone blocked for 1 turn. OK, ty for your reply. Even Shaman is quite uncommon in wild, so you shouldn't tailor your deck to it. Zihi is useless for control decks, and Mass Hysteria can kill bigger minons than Excavated. 1) Even Shaman is uncommon in wild???? Maybe this will be the case tomorrow, when the patch arrives, but I think the reality is the opposite atm. Once the nerfs arrive, I would wait a few days to see how the meta changes and then I will adapt my deck to it (e.g. I might add a second Scream). - Excavated Evil could only work against token and zoo decks, which aren't popular atm. As you said, Mass Hysteria can deal with bigger minions and I find it very overwhelming against Evenlock, Big Priest (after the spellstone), Even Shaman, Hunter, N'Zoth boards etc. I didn't want to dispute with the user above, cuz' he said he was playing only for fun and it seems he doesn't have any intention to craft the second Lightbomb. This deck can't do anything after rank 15. 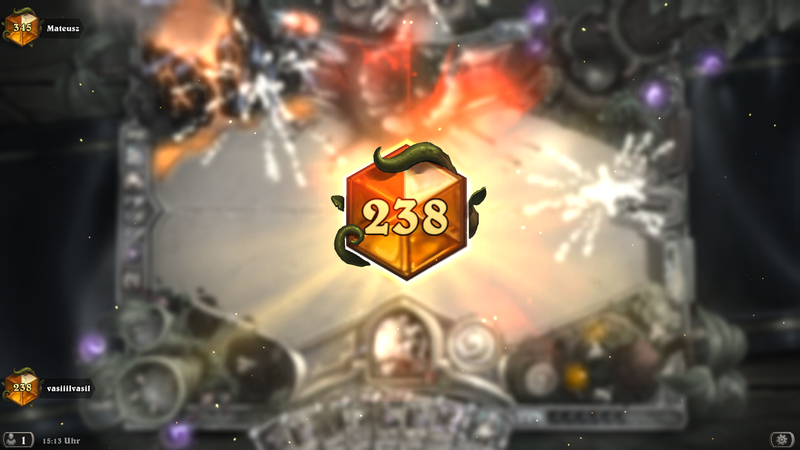 Well, I've beaten a bunch of meta decks and I even reached legend (as I posted above). If you are struggling with some MUs, I can give you some tips. At the start of the 90th turn, both heroes will explode, and the game will end in a draw. tried this deck. First Game was a 45min win vs. Big Priest. I played Benedictus with Zola, then he seanced my Benedictus and copied my Deck. Next turn i copied his just for the memes. Both players had 60 Cards. A Lot of N'Zoths were played, Cloning Gallery and the whole game was just about stealing things from the other Priest! If i could, i would upvote more than +1. Thank you very much Mr. Kovachut. 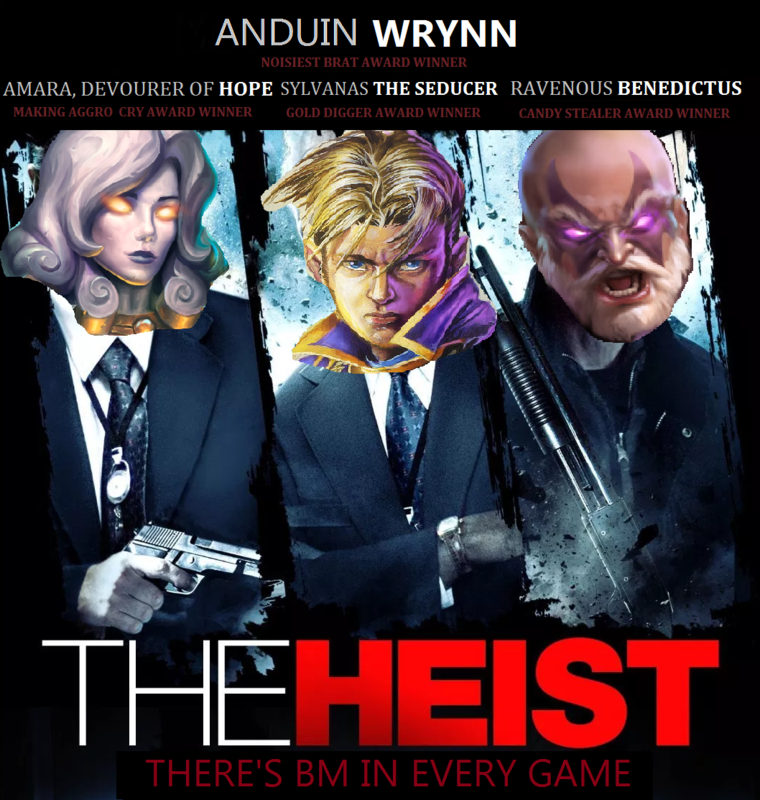 I will craft a golden Benedictus just in memory of this great game! I like this one. I replaced a Mistress with a Seance for more Amara fun. ty, but be careful with the Seance. 1) Look, I will be completely honest with you. I honestly think, that Seance is a good card, because it's flexible. My real issue is that it's a spell and it has anti-synergies with Shadow Visions. You see, imagine when you are in a tough situation and you desperately need a specific answer. Against aggro decks you might want to fetch a copy of Spirit Lash with Shadow Visions, against Big Priest you might be looking for an Entomb. You don't want to see Seance popping up in the discovery pool, because it will lower the chances of finding the desired card and this will affect the outcome of the game. I get that, but having 3 or more amaras is such a win condition people just concede. I use the shadow visions to find extra seances, so I'm certainly not trying to avoid them. At what ranks did you use this deck? Well, last month I reached Legend with my half-meme deck. This is why this month I fell to rank 4 and from this rank onwards I climbed with the above shown deck (I also used my meme one, but pirate rogue became too frequent and a devastating MU). 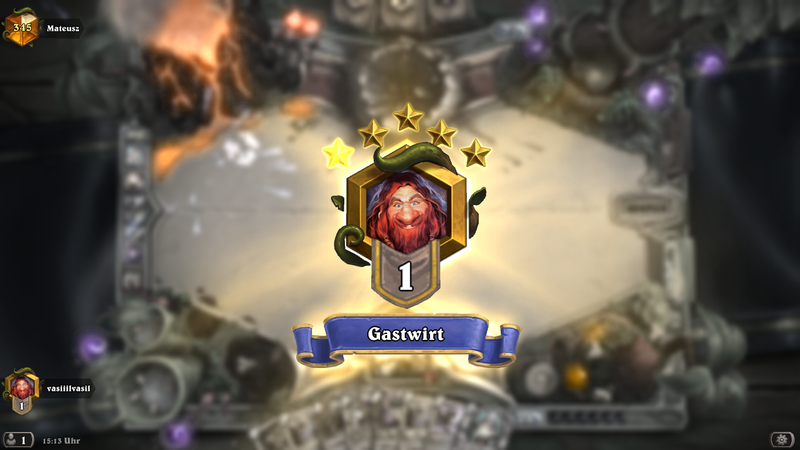 When I reached legend, I started goofing around with memeier lists again. I still use the above shown deck, but only when I feel making some improvements. I want to make a dragon steal deck and a Razakus one in the future. As you wish. In many games Zola feels like an overkill and I don;t need the second Amara. I'm enjoying the deck very much :) It can deal with just about anything. I've tried the version with Dirty Rat initially, but it would sit in my hand unused most of the time, so I've replaced it with another Lightbomb and it works well. What's your opinion on Dragonfire Potion? I'm missing a good 9k dust for this deck but still want to try it out so I'm trying to cut costs where I can, such as Lightbomb. Would you say this is a good substitute or is Lightbomb worth the craft? Also, the poster is awesome and I can't get the idea of Amara with a handgun and Benedictus with a shotgun out of my head. +1 just from that alone. Tbh I used to run Dragonfire Potion in my original (meme) deck. It can do well against some mediocre boards (most rogue decks, even shamans' minions with 5 or less health, some hunter, warlock and mage decks). However I can think of many situations, where inflicting 5 damage to the enemy board won't be enough; you will leave some minions alive and they will certainly kill you because of this (Even Shamans with 4 mana 7/7, Draenei Totemcarver, The Lich King, Sea Giant and playing Windfury/Windspeaker on them; Big Priests, Odd rogues with buffed minions, Jade Druids (which are a rare encounter, but still worth the mention imho). As you can see Lightbomb is kind of a big deal. It can't deal with all kinds of boards (it will leave sticky minions alive), but it will clear big threats nicely. In other cases we just rely on Mass Hysteria and Psychic Scream. You say you are missing around 9k dust for this deck. Can you please tell me what cards you have in your collection? I think I might give you some pieces of advise on how to build your deck. If you really don't want to craft a Lightbomb, then you can probably keep the potion, but you have to include a good dragon package. Well, I think this will be final update for this deck (at least for now). I made some minor changes to the poster and I added a better description in some of the class specific strategies (warlock, hunter). Tomorrow I will make proper changes to my original meme deck, so if you are interested, stay tuned. Yeah, sorry if I became annoying. Today I encountered A LOT OF COMBO DECKS in Legend rank (I considered I had enough of them once I saw a CUBELOCK having the Mecha'thun package), so imho 1 Dirty Rat won't hurt the deck. Back when I was still laddering, there were days, where I didn't see a single combo deck. However I figured it is better to be prepared, so having 1 tech won't punish you too much. I also wanted to finish the deck description, I didn't want to leave some MUs blank. 2) Deathlord against Even Shamans, Odd Rogues could be quite devastating. Against Big Priest it will be a dead card, unless I have an Entomb in hand. And against control decks we are already winning thx to Archbishop Benedictus.